Consignment; there is no one who knows the pre-owned market better! A tune-up resets your bicycle to its intended specification, which is a standard it might not have enjoyed since the day you rolled it out of the bike shop. If any thing is broken, cracked, frayed, worn or just plain dead, we will catch it. *Parts required not included, plus additional labor. Extremely dirty/greasy bikes will incur a small surcharge. **Home Service Fees range from $25 – $50 depending on your location. We service Greenwich, Stamford, New Canaan, Darien, Norwalk, Westport within Fairfield County and Mount Kisco, Bedford, White Plains, Rye, Rye Brook, Scarsdale, Larchmont, Mamaroneck within Westchester County and many more municipalities. Bike Reconditioning ($250) We can make your bike look like new! With our bike wash and complete overhaul, this service includes a basic tune-up, but much more and you’ll get that new feeling again. 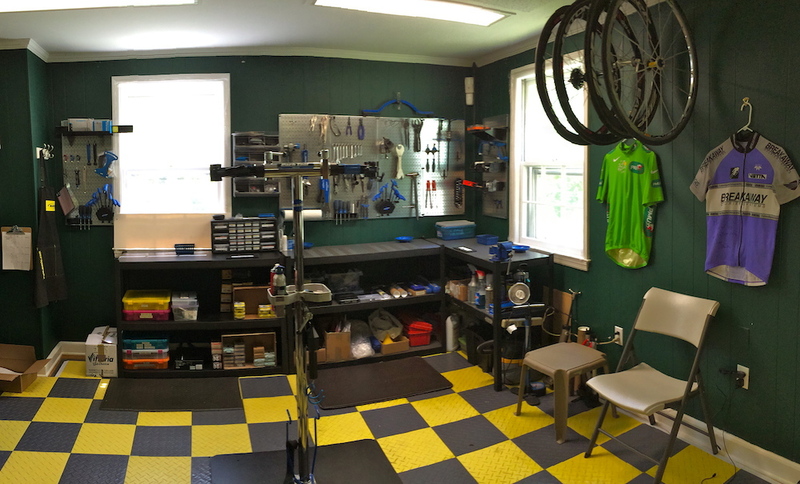 Total parts scrub and reconditioning, all new cables, complete drive-train removal (crank & cassette), headset removal and cleaning, bike wax, etc. It’s like a spa treatment for your bike! 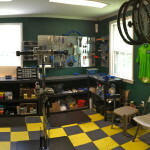 Customized Bicycle Building: buy your new or pre-owned frame from Yellow Jersey Cycle and let’s build your bike the way you want it, with as much or little input as you want. We are very interactive and make sure no detail is overlooked, the same way we do it when we build our own bikes, and trust me, we are quite particular! Powermeters (SRM, Stages, PowerTap, Garmin Vector, Sram Quarq and more): SRM is the gold standard in power and cycle fitness data used by the Pros. We are authorized dealers of many different brands! Stages Cycling Power Meters is the Authorized Power Meter supplier to Team Sky Pro Cycling (UCI Pro World Tour Team).